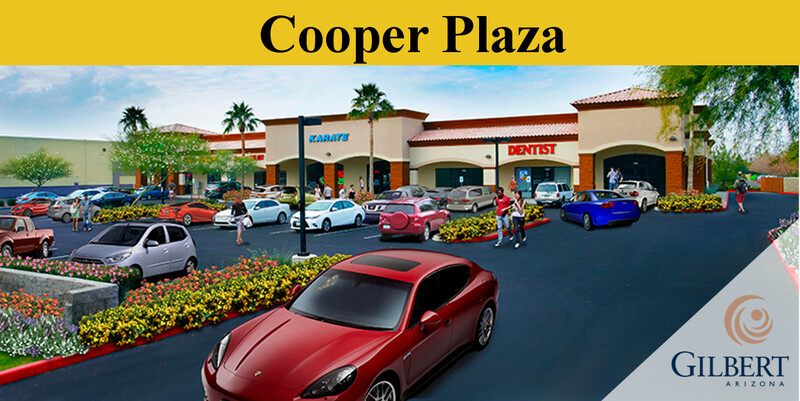 Cooper Plaza is located in the heart of Gilbert, Arizona, one of the fastest growing municipalities in the United States with over 389,413 estimated population within a 5 mile radius of the property with an average income of over $94,705* per year with a 1 mile radius. The high traffic intersection of Cooper and Elliot Roads is traveled by approximately 51,000 vehicles per day. The immediate trade area has attracted notable National tenants such as Fry’ Food & Drug Store, Starbucks, Auto Zone, McDonald’s, Lowe’s Home Improvement, True Value Hardware, Buffalo Wild Wings, Walgreen’s Drug, Big Lots and 7-Eleven. Gilbert & Ray Plaza is a “Western Theme” retail renovation project was completed in June 2015 and is located in the heart of the growing and high expanding Gilbert and East Valley market. The completely new design captured by the vision of Michael Pollack, brings out the feeling of the “Old West” with contemporary architectural appeal and styling. The newly renovated building has already been heralded as a one of a kind retail strip center. 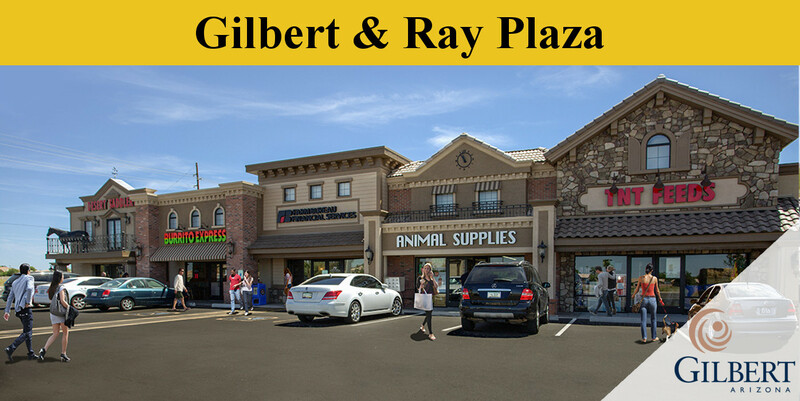 Unlike larger Shopping Centers, Gilbert & Ray Plaza maintains the feel of a smaller community setting featuring a variety of tenant spaces and a free standing restaurant.